Very good formation from the Chinese team. Pakistani Fighter Pilots are the best in the world, During joint exercises the Chinese were the ones who came to learn from PAF. Thanks for sharing the info. 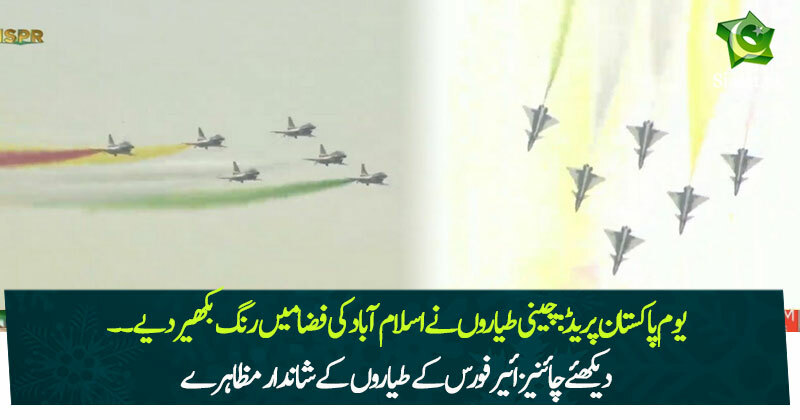 Though I never saw Pakistani planes doing such maneuvers, but this does not mean that we don't have faith in PAF. Certainly, the jazba e emaani rules when it comes to fight. Our men fight for shahadat and that makes them stand apart. Well aerobatics depends on planes and practice. Chinese used the right plane and they do a lot of practice when it comes to aerobatics. But producing Fighter Pilots is a different ball game. Irrespective of technology, look at PAF history, they have always proved that they are up to any task.